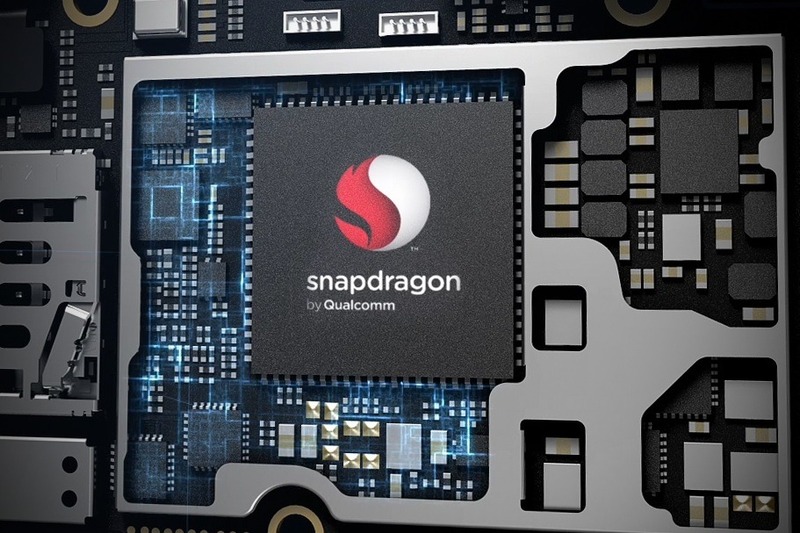 A few weeks back, the Snapdragon 845 chipset was spotted on the official website of Qualcomm. This confirmed that next year, we are going to see even more powerful processor than the Snapdragon 835. There were rumors that it is going to be manufactured on the 7nm process, but today, we have got a new leak via Weibo that reveals the specifications of not only the 845 but also the Kirin 970 chip from Huawei. The Snapdragon 845 (4xA75 + 4xA53) will be manufactured by the same 10nm LPE process by Samsung where the Kirin 970 (4xA73 + 4xA53) by 10nm FinFET technology. Qualcomm will also announce the Adreno 630 GPU with the 845 processor. The image that reveals the specifications of the processors is in Chinese, so it is pretty hard for us to translate what is written. The only thing that we knew via the image is the GPU, Manufacturing technology, RAM, and Storage type. Both Snapdragon 845 and Kirin 970 will support UFS 2.1. 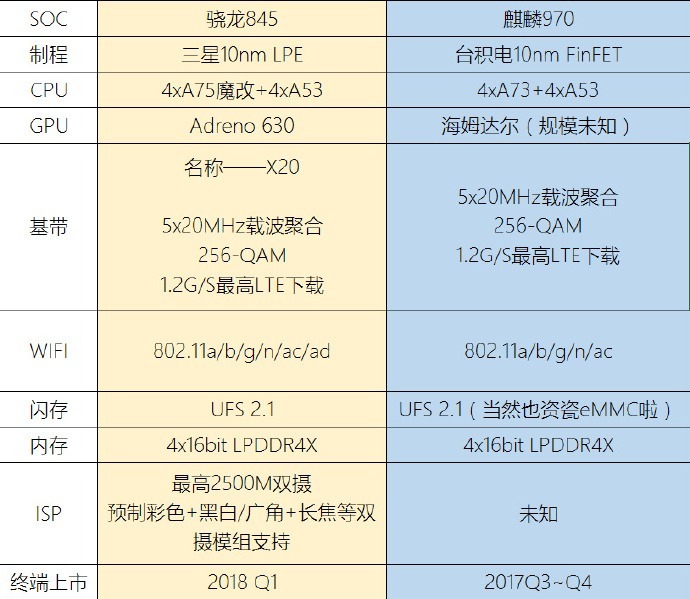 The announcement date for the Snapdragon 845 is mentioned to be Q1 2018 whereas that of the Kirin 970 is Q3-Q4 for this year. If you understand Chinese, then make sure to let us know about other details mentioned on the image above.